St. Catherine of Bologna, Virgin (Patroness of Artists) Feast - March 9th Born in 1413, Catherine de Vigri was the daughter of a diplomatic agent of the Marquis of Ferrara. At the age of eleven, she was appointed maid of honor to the daughter of the Marquis and shared her training and education. When the daughter eventually married, she wanted Catherine to remain in her service, but Catherine left the court and became a Franciscan Tertiary at the age of fourteen. 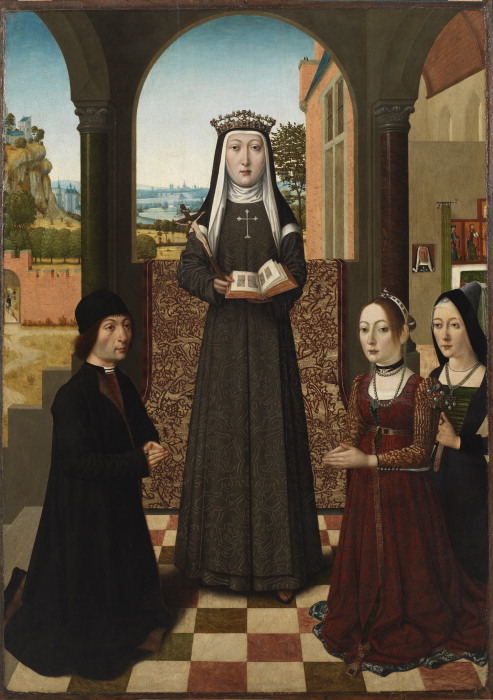 Catherine had determined to live a life of perfection, and was admired by her companions for her holiness. Eventually her Community became part of the Poor Clares. She soon began to experience visions of Christ and Satan, and wrote of her experiences, one of which occurred one Christmas. Through her efforts with Pope Nicholas V, the Poor Clare convent at Ferrara erected an enclosure, and Catherine was appointed Superioress. The reputation of the Community for its holiness and austerity became widespread. She then was appointed Superioress of a new convent in Bologna. In Lent of 1463, Catherine became seriously ill, and she died on March 9th. Buried without a coffin, her body was exhumed eighteen days later because of cures attributed to her and also because of the sweet scent coming from her grave. 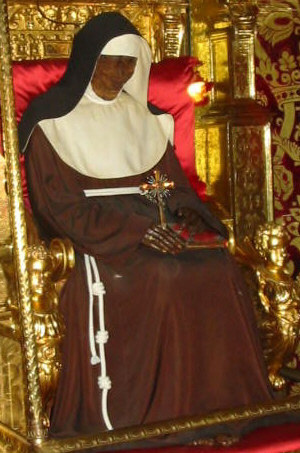 Her body was found to be incorrupt and remains so today in the Church of the Poor Clare convent in Bologna. She was canonized in 1712. Despite the opportunity to live a noble life at court, St. Catherine eagerly responded to her call to lead the religious life. Her piety, charity, and kindness attracted many to follow her along the road to perfection. The beauty of her life and death encourages us to resolve to live in perfect charity as a Lenten goal.